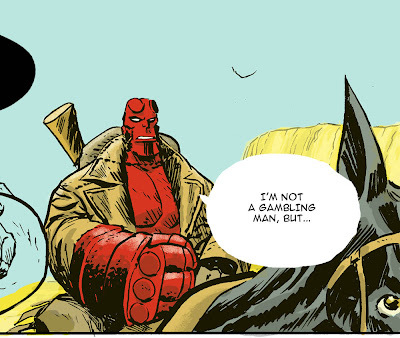 A (very) belated Hellboy. Am I the worst TWARTer in the world, or what? Anyway, this is a snippet from something I'm working on just for sh*ts and giggles - a one-page strip called "How the West Was Doomed!" More TWARTing soon - I hope!